Leonardo da Vinci was more than just an artist. He was an inventor, engineer, sculptor, architect, musician, anatomist, and more. He imagined and dreamed of a world, that no one from that era even fathomed. He is someone to marvel. After scouring a multitude of pages from da Vinci’s personal notebooks, “artisans deciphered hidden clues, intentional mistakes and mirror-image writing that da Vinci employed to keep his works top-secret.” -(vegas.com) The creators of this exhibition used techniques and materials that da Vinci would have used, from the Renaissance period, to replicate his inventions, for the public enjoyment and knowledge. 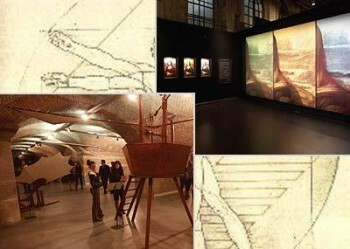 If you are a fan of da Vinci, a history buff, or just looking for a new unique exhibition, this is the one to see!